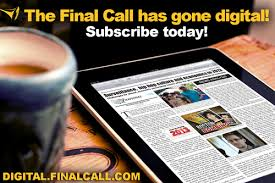 (FinalCall.com) - Abdul Akbar Muhammad, international representative of the Honorable Minister Louis Farrakhan and the Nation of Islam, is back safely in the United States after being detained by law enforcement officials in the South American country of Guyana. In an exclusive interview, Akbar Muhammad told The Final Call May 21 that when Guyanese police officers came to his hotel room in the country, an officer said the Central Intelligence Agency had told local authorities he was a terrorist. There are also suspicions that the false arrest and detention could be tied to tensions between the ruling Indian-dominated political party and Black opposition party as elections loom. 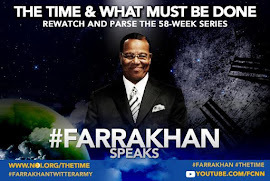 The false charges and arrest is part of a sustained effort to trash the good name of Minister Farrakhan and the good works of the Nation of Islam, charged Mr. Muhammad, who has traveled to Guyana on numerous occasions since 1975 and has never had any problems with law enforcement. His most recent visit was about five years ago to speak to young people. “The Minister is well known in that society, so when you see his name on the front of the paper, people are going to read it,” said Mr. Muhammad. 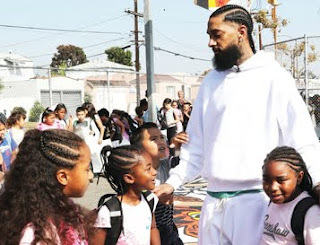 “It's absolutely to try to make Minister Farrakhan look other than the champion that he is (on behalf) of Black people, and to say that he's got one of his assistants down there who is a terrorist and dealing drugs and planning some terrorist act against Guyanese society,” he added. 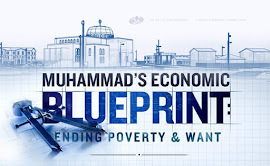 Just hours after touching down on American soil, Mr. Muhammad spoke to The Final Call from Hartsfield-Jackson International Airport in Atlanta, explaining that the trip to the South American country involved a series of speaking engagements, media appearances and business meetings. During his time there, he spoke to the mayor of Georgetown, the nation's capitol, as well as some pre-teen students in an economically depressed area of town. While in his hotel room at the Princess Hotel in Georgetown, Mr. Muhammad said he got a strange telephone call at about 1:30 a.m. The caller asked to speak to someone, and he told them they had the wrong room. About 15 minutes later, he heard banging on his door and the voices outside said they were the police. Mr. Muhammad said he was not sure if they were police so at first he refused to open the door, then they threatened to break the door down. He told them that was not necessary and knowing he had done nothing wrong, he opened the door, saw four Guyanese police officers and one of them said they were contacted by the U.S. Central Intelligence Agency saying that he was a terrorist. Angered yet under control, Mr. Muhammad began defiantly questioning the officer in charge. “I felt it was erroneous, I felt that it was fake, so I said to the officer in charge, ‘You got a message from the CIA? Are you the CIA's boys? They just call you and tell you I am a terrorist and you come and arrest me? I thought this was a sovereign country? Is the CIA running this country, or are you running it?' He didn't say anything,” recounted Mr. Muhammad. After grabbing a few belongings and walking out of his hotel room, he saw two White men standing in the hallway and heard them talking. They appeared to be with the police, but were not uniformed. Mr. Muhammad walked over and asked one, “Are you the CIA agents who gave them this information?” He said the man answered, “No.” Asked if he was an American citizen, the man replied, “yes,” according to Mr. Muhammad. “Then how come you've got that British accent?” Mr. Muhammad asked, but the man was silent. The two men remained in the building after Guyanese officers escorted Mr. Muhammad outside, presumably to go through the hotel room and search through his belongings. Mr. Muhammad was concerned that perhaps something could be planted in his room, but there was nothing that he could do about it at the time. The first news many heard regarding the situation was an Associated Press report early afternoon May 19 stating that Akbar Muhammad, described as a “U.S. Muslim cleric,” had been detained on suspicion of ties to drugs and terrorism. In the Islamophobic climate of America, that wording was sure to push buttons and create a perception in the minds of viewers and readers. Mr. Muhammad said, however, after being taken to the police station, he was subjected to a bizarre line of questioning from Guyanese law enforcement officials. He was never handcuffed, which seems strange given the fact that he was allegedly involved in terrorism and drugs. He sat in a chair from approximately 2:30 a.m. until 5 p.m., answering their “ridiculous” questions while authorities went through the contents of his laptop computer. “I said I'm not a drug dealer. I preach against drugs and I am not a terrorist. If anybody around me even had thoughts of a terrorist act, I'd get as far away from them as I possibly can,” said Mr. Muhammad. “They just had something that they were trying to do,” he added. Following questioning, he was jailed. He read and reflected on the situation while confined to the overcrowded and squalid conditions in the cell where he was held and swarmed by mosquitoes that bit him all over his arms and face. During the ordeal, Mr. Muhammad reached out to his representative in the U.S. Congress, William “Lacy” Clay Jr. (D-Mo.) and the U.S. Embassy in Guyana was contacted and representatives immediately arrived to inform him that according to Guyanese law, an individual can be detained and jailed for up to 72 hours before officially being charged with a crime. After appearing before a judge, it looked as if he would be jailed over the weekend. The Nation of Islam has an active study group in Guyana located in Linden, which is about one hour outside of the capitol city of Georgetown. 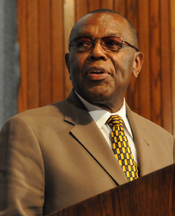 Its coordinator, Brother Dennis Muhammad upon hearing that Brother Akbar was in the country and experiencing difficulty, immediately contacted Student Regional Minister Rasul H. Muhammad who presides over the Seventh Region of the Nation of Islam, which includes South America. A telephone conference was quickly arranged between the Honorable Minister Louis Farrakhan and President of the Republic of Guyana, Bharrat Jagdeo and the diplomatic wheels were placed in motion. Additionally, a television station Mr. Muhammad had made an appearance on earlier in the week enlisted Attorney Nigel Hughes, one of the leading lawyers in Guyana, for legal assistance. Akbar Muhammad, who regularly takes heart medication, had not taken it for three days and had left it at the hotel. He asked officials to allow him to go and retrieve it and his request was granted. During that time, he got access to a phone, and placed a call to Minister Farrakhan, who informed Brother Akbar that he had spoken with Guyana's President regarding the situation. “It was impressive in the character of the President of Guyana that he sought to speak to the Honorable Louis Farrakhan to understand what was going on with our Brother Akbar Muhammad,” said Student Minister Rasul Muhammad. “I'm impressed with the President of Guyana after having been contacted, and the government of Guyana being contacted by the federal government and the CIA in the United States spreading negative rumors that would disrupt the good works of Brother Akbar, that the President had the character to seek out the Honorable Minister Louis Farrakhan to get the facts,” Student Minister Rasul Muhammad added. 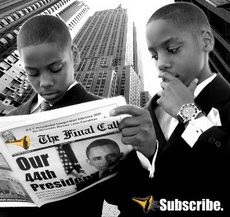 The Honorable Minister Louis Farrakhan praised and thanked Pres. 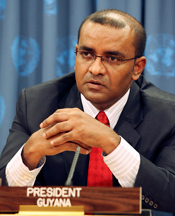 Jagdeo for his swift intervention and shared aspects of the telephone conversation with The Final Call. With the consistent outreach work of the Nation of Islam there, Minister Farrakhan's lectures are broadcast daily for one-hour and have been airing for years. Guyanese-Canadian Phillip Muhammad, who was also arrested, was instrumental in establishing and maintaining Minister Farrakhan's television ministry in Guyana. He paid for the entire trip—including airline tickets and lodging—out of his own pocket, said Akbar Muhammad. Akbar Muhammad said once he arrived back to the police station, presumably to be subjected to more questioning, he noticed a change in the approach of his interrogators. “I noticed that when I got back, they had a whole different attitude,” said Mr. Muhammad. 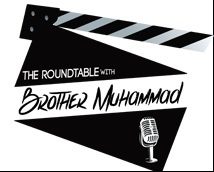 Emboldened by the recent conversation with Minister Farrakhan, Mr. Muhammad turned the tables on his would be accusers. Within hours, he, Phillip Muhammad and a 26-year old Guyanese brother who was also arrested in connection with the bogus charges were released. Atty. Hughes said the entire interrogation concentrated on basic information, such as his age, how many children he had, and who he met with. The fact that he met with political officials appears to be key. In his 23 years of practicing law in Guyana, the attorney had never seen a case like this. “I have not come across such an act of maliciousness in terms of detaining somebody against whom they have absolutely no evidence,” said Atty. Hughes. 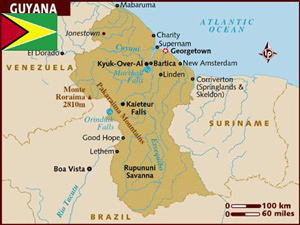 Guyana, the only English speaking country in South America, is located on the northern tip of South America nestled between Venezuela and Suriname. The Black slave trade flourished there with many slave traders becoming rich from the highly profitable and productive sugar cane fields. Originally a Dutch colony, it became a British possession in the early 1800s. Once the trans-Atlantic slave trade subsided, many Blacks remained there, however, other profiteers brought in “indentured servants” from East India to continue working the sugar plantations. Since obtaining its independence on May 26, 1966, and even before, ethnic tension has existed between Blacks and East Indians. According to census figures, East Indians make up 50 percent of the population with Blacks 36 percent of its total population of nearly 767,000. This has led to political tension between the ruling political party dominated by East Indians and the opposition led by Blacks. Mr. Muhammad said this could have acted as a contributing factor to his arrest and detention. National elections are scheduled to take place in August and perhaps the ruling party wanted to show Guyanese voters and the international community that they were being tough on terrorism. 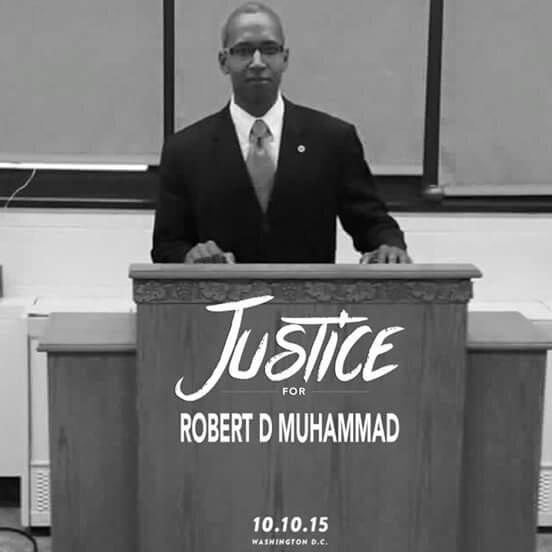 Through the entire ordeal, described by Mr. Muhammad as “humiliating,” he thought about his 10 children, his 14 grandchildren, the members of the Nation of Islam and all those friends across the country and world who know him seeing the false media reports and wondering how they were affected. This incident has only inspired him to do more work, and to speak out for Muslims who have gone through the same harassment in airports and other places, said Mr. Muhammad. “This is happening to too many Muslims,” he said. “Many (Muslims) have suffered this and have been harassed and detained and don't say anything, so they continue to do it. So what we have to do is that when this happens, we have to make some noise and let the world know that because I am a Muslim, I am being harassed like this and they just have to cease and desist. Anybody with a Muslim name can be accused of anything,” he added.